Nick has Keratoconus and was resigned to suffer with poor vision. Nick thought he could deal with his Keratoconus with glasses, even though they didn’t do a very good job of correcting his vision. And he just could not get used to wearing contact lenses that other Optometrists had prescribed for him. So he suffered for a long, long time with poor vision. Now, after Dr. Barry Leonard designed Scleral contact lenses for Nick, watch Nick as he tries them on for the first time. You can feel Nick’s excitement as he can FINALLY see clearly with Keratoconus. Nick found Dr. Leonard much like you might have: just by searching for “Best Keratoconus Doctor.” People travel to Los Angeles from all over the country to see Dr. Leonard, one of the nation’s leading Keratoconus Specialists. Dr. Leonard has technology that less than 30 other doctors in the USA have…equipment that allows him to create custom contact lenses for you and your Keratoconus that correct your vision and are as comfortable to wear as Nick’s. 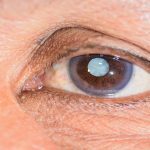 Why does Dr. Leonard care so much about his patients with Keratoconus? It’s because Dr. Leonard also has Keratoconus, just like you. He knows what you’re going through. 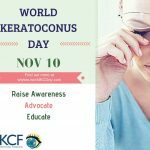 If you have Keratoconus, or know someone who does, book an appointment today to see Dr. Leonard or call his office at 818-891-6711.